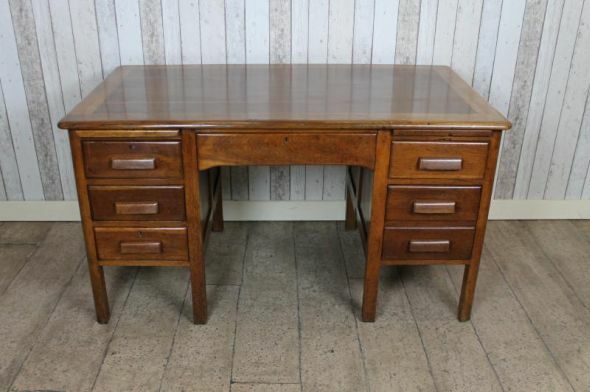 This 1940s/1950s vintage oak office desk features a twin pedestal design with multiple drawers. It is in good condition for its age, and is ideal for any home study, office or business. The desk is in good condition for its age, and is a classic piece of English furniture.